5/8'' Wooden Mushroom plugsSold in lots of 50. As low as $2.25 per lot. ..
1'' Wooden Mushroom plugsSold in lots of 25. As low as $1.875 per lot. ..
1/2'' Wooden Mushroom plugsSold in lots of 100. As low as $2.10 per lot. 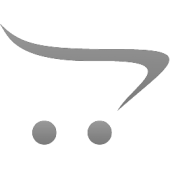 ..
1/2'' Long Shank Wooden Mushroom plugsSold in lots of 100. As low as $2.40 per lot. ..
1/4'' Wooden Mushroom plugsSold in lots of 100. As low as $1.60 per lot. ..
3/4'' Wooden Mushroom plugsSold in lots of 25. As low as $1.30 per lot. ..
3/8'' Wooden Mushroom plugsSold in lots of 100. As low as $1.50 per lot. ..
5/16'' Wooden Mushroom plugsSold in lots of 100. As low as $1.80 per lot. 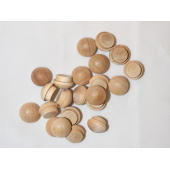 ..
1/2'' Wooden Oak Mushroom plugsSold in lots of 100. As low as $3.20 per lot. ..
3/8'' Wooden Oak Mushroom plugsSold in lots of 100. As low as $2.80 per lot. ..